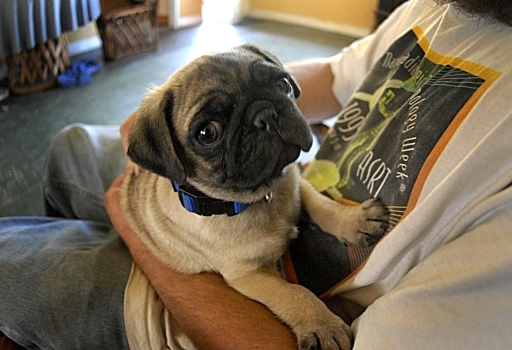 Here’s the latest addition to my Family: Sluggo The Wonder Pug. Sluggo is just 9 weeks old. He was given to me, on my 57th birthday, by my sons… Sluggo greets me every morning with Absoute Joy and Total Excitement, and it gets better from there… I won’t talk about my New Best Friend too much more…. I wanted you to meet him. He’s really smart.